Real Madrid and Liverpool collide in the 2018 UEFA Champions League final at the Olimpiyskiy National Sports Complex in Kiev. Who will lift the trophy? Read here our Real Madrid vs Liverpool betting preview with predictions, betting tips, probable lineups, team news, enhanced odds, bookie offers and no deposit free bets on the Champions League final! RedZoneSports offer 50/1 Liverpool to lift the Champions League trophy! 18+. New Customers Only. Available for a limited time. Winning bets paid in cash based on the normal price on website. Enhanced odds paid in free bets. Max £1 bet. Full T&Cs apply. Real Madrid came through the semi finals with a 4-3 aggregate win over Bayern Munich. They bat the Bavarians 2-1 away from home in the first leg and held on at the death in Madrid to draw 2-2 in the return match. Prior to that they survived a scare against Juventus altough they beat the Italian champions 3-0 in Turin. They are currently on a 27 match scoring streak in European games. Los Blancos have bagged 3 Champions League title over the past 4 campaigns and now look to break another record, amid a very disappointing La Liga campaign under Zinedine Zidane – where they failed to cope with pace-setters Barcelona. Real Madrid are expected to have a fully fit squad to choose from with Zinedine Zidane revealing Ronaldo would be 100% fit for this clash. Dani Carvajal returned from injury against Villarreal and will start as right back, with Sergio Ramos, Raphael Varane and Marcelo completing the back four. Isco and Lucas Vazquez are in contention for the third berth in attack alongside Ronaldo and Karim Benzema. No changes are expected in midfield where Casemiro, Toni Kroos and Luka Modric are likely to retain their starting berth. Liverpool beat Roma in the semi-finals to advance to this showpiece clash. The Reds overcame the Giallorossi 7-6 on aggregate, courtesy of a 5-2 win at Anfield in the first leg match. Prior to that, Jurgen Klopp's men beat Manchester City home (3-0) and away (2-1) while in the first knockout round they delivered a 5-0 aggregate win over Porto with all the goals coming in the first leg in Portugal. They were unbeaten in 11 UCL games before to lose 4-2 at the Olimpico. In the Premier League Liverpool finished in fourth place, 25 points adrift of Man City, 6 behind Manchester UTD and 2 shy of Tottenham. The Reds will also take an almost fully fit squad to Ukraine, with Emre Can and James Milner both returning to training this week. Jurgen Klopp, who will be only without long-term absentees Alex Oxlade-Chamberlain and Joe Gomez for the final, will keep faith in his usual 4-3-3 formation in which Sadio Manè, Roberto Firmino and Mo Salah will lead the line. At the back, Andrew Robertson and Trent Alexander-Arnold should get the nod over Nathaniel Clyne and Alberto Moreno as full back, with Virgil Van Dijk and Dejan Lovren confirmed as centre-backs. Milner, Georginj Wijnaldum and Jordan Henderson should form the midfield trio. Real Madrid (4-3-3): Navas; Carvajal, Varane, Ramos, Marcelo; Casemiro, Kroos, Modric; Vasquez, Benzema, Ronaldo. Liverpool (4-3-3): Karius; Alexander-Arnold, Van Dijk, Lovren, Robertson; Milner, Henderson, Wijnaldum; Mane, Firmino, Salah. 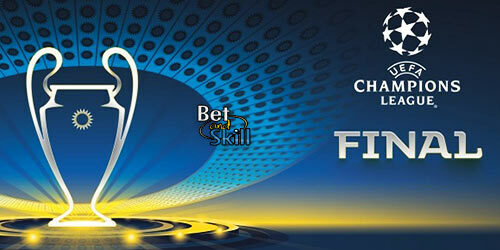 Are you looking for the best odds on the Champions League final? Here and Betandskill we compare prices from over 70 online bookmakers! The following are the highest odds on the win-draw-win market. Are you interested in getting hugely boosted offers! Take a look at our Enhanced odds section! BetAndSkill's expert tipsters have analysed all the key factors and statistics related to this match in the last few weeks. They have selected four interesting picks, so feel free to copy them! 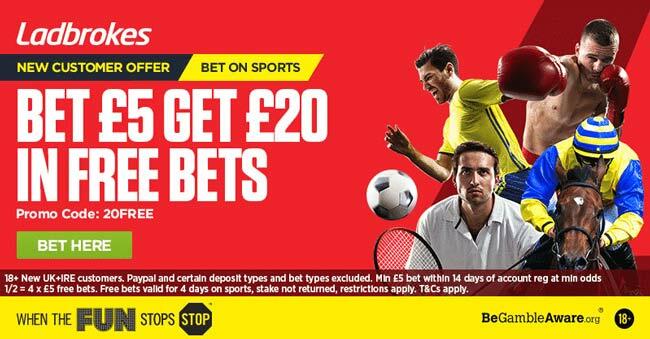 Why not check out some of our best no deposit promotions or free bets and combine them with our free betting tips on Real Madrid vs Liverpool and get your betting journey started right now?! Do you want to play all our free pick in a unique bet? Read how to do it with bet365 Bet Builder. This tool allows you to mix and match bets across a number of markets in the same match to create your own accumulator. Looking for our daily football tips? Please visit our Today's Football Picks and BTTS predictions! "Real Madrid vs Liverpool betting tips, predictions, lineups and odds (Champions League final - 26.5.2018)"